Since I am wearing a big ol' heart on my chest today, I figured why not chat a little bit about what I am loving at this very moment. 1. Obsessed with the stackable rings in this post. I ran into Forever 21 for a belt and these little beauties and another set of friends jumped right out at me. Ladies, they have some of the cutest stack sets right now. Most of them all under $7.00. The ones you see above came in a group of eight. Eight rings + $6.80 = No Brainer! 2. We have a wedding this weekend. I haven't been to a wedding allllllll summer. Can you believe that? The last one I went to was in May. The reception is at a winery. Uh-oh!! I am going to do my best to not wake up with a headache Sunday morning. I will keep you posted on that one. 3. The hubs is now 100% owner of his company. He started it with a partner 4 years ago and now we have full ownership. So exciting, but at the same time so scary. I am so proud of you, Ross! Thank you for all you do for our family. 4. I just received new vintage dictionary prints in the mail from the Salvaged Sparrow on etsy. Please look at this shop. How fun and unique is this? It will be part of the gallery wall we are planning in our home office. 5. Okay, this last one might make or break our friendship. I am LOVING the new Taylor Swift single, Begin Again. No, this song has nothing to do with my own life, but I am sure it has something to do with hers. I wonder who this one is about. Yes, people, I am a Taylor Swift fan. Logan and I have seen her twice in concert and she puts on one hell of a show. I don't care what anyone says. And her new album, Red, debuts on October 22nd. And you can bet your sweet boots that I will download it that day. Don't judge. Last week, I talked about P!NK, this week it's Taylor. What can I say, I have a wide range taste in music. I hope everyone has a great weekend...oh, and another thing I am loving...the fact that a cool front is moving in this weekend. Maybe, just maybe my riding boots can be added to the rotation sooner than later. Fingers crossed! 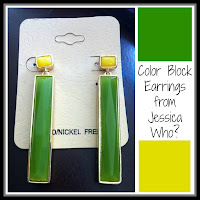 Have you entered the color block earring giveaway? Well, you can right here! The sweater is perfect with the jeans.....love it! Ohhhhh that sweater. I'm in love! Sold out?? Maybe I can find something similar. Congrats to your husband!! How exciting. I can't wait to see pictures from this wedding! This is a cute look. I love that you paired it with the leopard flats too. Have a great weekend Shanna! And congrats to Ross on the business. That's fantastic! congrats to your husband!! I've seen that sweater and love it!! what a cute outfit! I can't live without stackable rings now. Target has an awesome selection of them for only $7. Congratulations to your husband! That is awesome! I love your sweater, your whole outfit really!! The last two photos are so cute. I don't judge you on liking her. I don't listen to country (or the radio for that matter) so I don't really know her songs. I haven't turned on my radio in over 3 years...Love your outfit by the way! Super cute sweater! I am loving all the new backgrounds lately on your posts. So beautiful. Do you have problems with F21 rings turning your fingers green? Maybe that's just me... last one I bought did that after about an hour. eeeppp! "Love" this outfit!!!! Congratulations to your hubby and have fun at the wedding this weekend!!! Happy Friday! Congratulations to Ross & you!! That is such great news! I am loving your outfit!! You look so much more fabulous in your red skinnies than I do...ugh, I must get to the gym! :) I love your stackable rings and the "love necklace"! I also have to check out that Etsy shop. 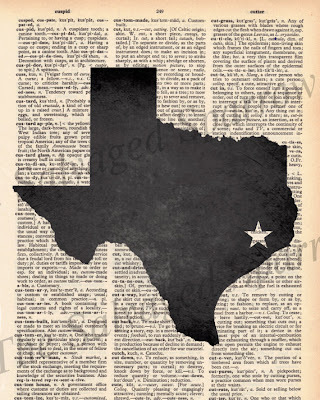 I have been wanting a state print! Hope you have a great weekend at the wedding! How cute are you in that heart sweater and the love bracelet? I knew I should've bought that sweater, darn it! Congrats on Ross and congrats to you for hitting 1000 followers! Have fun at the wedding! I love this outfit!! Congrats to your husband!! Love your outfit! I love the jumper! Have fun at the wedding. I absolutely love that sweater + the stackable rings! And congrats to your hubby! I am loving those stacked rings!! 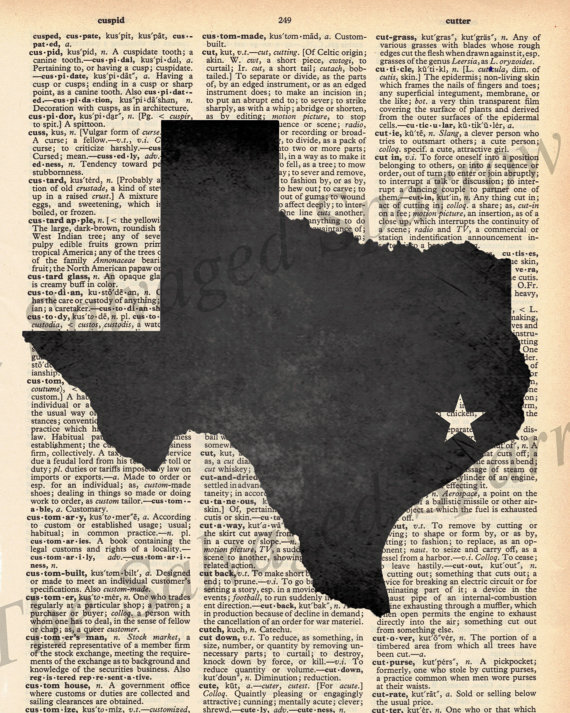 And really love the vintage dictionary print! Such a fun idea! I love your sweater and red pants! Fabulous! I am so just so in love with your style lately (not that I'm not always in love it.) But the last few looks are just right up my alley. I love this whole look. I love the simple jewelry, the addition of leopard loafers...so, so pretty. Gorgeous outfit! I love the red and navy, and those stackable rings are fabulous! Perfection! Have a great weekend lovely! Love the red pants and love the stack rings and the leopard loafers. Love it all! Okay, I've got to go to Forever 21 and pick up those rings, they're so cute!! I love your look too--that heart sweater is so fun. Have a great weekend! Goood Lord woman! I went to enter the giveaway for those earrings, cause I want em, and then I spent 30 minutes going here and there on Jessica's page- phew! Thank you for the information and introduction! major congrats on the 100% biz ownership- that is HUGE! Oh, & I'm a Tay-Swift fan, it's cool, I'll download her CD that day too!! Congratulations to you and the Hubby!Love your picks this week to! Have a great weekend. aaah, I SO love this post for so many reason!! Girl, you're gorgeous!! And the sweater with a heart...I want it so bad!! So cozy and cute!! Ps-she is dating Conor Kennedy, you knew that right? So my guess is it's about him!! :) I, too, am a Tswizzy fanantic! Why would you wear a fun sweater that I can't order on line! We are gonna rumble if you get any cuter! Hugs and have a great weekend. I am so ready for cooler temps. ok you look gorgeous!!!! and congrats to the hubs!!!! thats awesome news...and i too am a huge taylor fan...i am hoping to make it to a concert...the hubs loves her to soooo...maybe we can go sometime!! lol (our wedding dance was to her song "crazier") happy weekend love! You look great in all that LOVE you're wearing! Congrats to your hubby, and enjoy the winery reception! So.Much.Fun. Love your outfit! the only pair of colored jeans I have are navy blue- I'm scared to go bright! Also, I love TSwift. There's nothing wrong with appreciating true talent! Oh I just love your heart sweater and 'love' bracelet! Too adorable! Happy Friday! So sad that sweater is sold out!! I loooove it. You weren't kidding when you said this post was filled with lots of love - I love everything! Shanna - congrats to your hubby!!! That is amazing news. :) I have that same sweater and am luuuurving it! You look great and I hope you have a wonderful weekend! Can we start off with the huge elephant in this post...or should I say mansion? I know we are supposed to focus on your adorable sweater...and I did. But holy geeze! That's a home! Do you live there?! I need to move to TX lol. And yay to your husband! Awesome! Have fun at that wedding. A winery? Score! Can I just say I am kinda freaking out right now that Tswift has a new single & I haven't even heard it yet!?!?!?!?!!?!?!? AHHHHHHHH NOT ACCEPTABLE. I am obsessed. And hshe hugged me at her concert... LOL! Anyway, you look absolutely adorable!!!!! :) Glad I found your blog! Love the outfit..I can "steal" idea yes? and wear to work, yes? Please and thank you. I like Taylor Swift, not a fan-fan, but not a hater either. Love the pictures of you and Logan at he concerts sooo cute!! i love everything about this outfit! TGIF, love!! Very adorable sweater and love those stacked rings. Lovvvve that outfit, so cute! Nothing shameful about loving Tay. Yeah, that's what I call her because we are besties. I also have that heart sweater from ON. Sooo much better than paying $90 at J. Crew. LOVE the outfit (completely!) and what a deal on the rings. I will have to find my way to F21! love your sweater and the way you style it. And btw, congratulations to your hubby. Love this outfit! I'm right there with you on the whole Taylor Swift thing! I liked her music, but wasn't a huge Taylor fan until I went to her concert with my bff who is a HUGE fan (calls her T-Swizzle, hahahah)...she puts on such a great show and is so sweet to all the younger girls there. You can tell she really loves and appreciates her fans and that is very rare today. I was hooked when she took some time to walk out in the audience and give little girls hugs and high-fives. So cool. I just LOVE love, so of course I love this! LOVE that heart sweater girl!! I LOVE all the love goin' on in this post :) That sweater is SO cute, what fabulous loafers...and I'm a huge T. Swift fan too! So glad you like the "Love" bracelet! 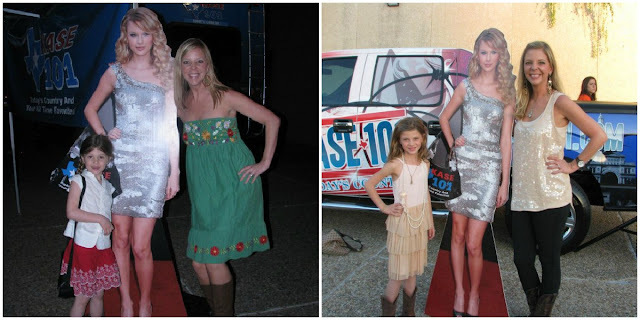 And I'm totally not judging about T.Swift - I'm a fan too! I want this entire outfit. So freaking cute!! I actually have a sweater just like that but w a pink heart from wildfox. I wonder how it would look w pink pants...hmmm not as cute as this I know! And the shoes add such a fun twist to this outfit! I never would've done that but I love it on you!! Cute sweater! You look great! Love the Rush Danuza Cuff!